Cannabis is more complicated than the average plant. Not only is the plant itself extremely complex, but then there are the different scents and flavours, the range of therapeutic benefits and the various types of products, not to mention the names like “shiskaberry” and “sensi star.” Add the fact that for decades myths and misinformation dominated the discussion around cannabis, and it’s easy to see why it can sometimes feel overwhelming for newcomers. So, whether you're looking into the best way to consume it, the different kinds of strains, or are interested in the plant science, there’s a lot to know – even if you’ve tried it before. 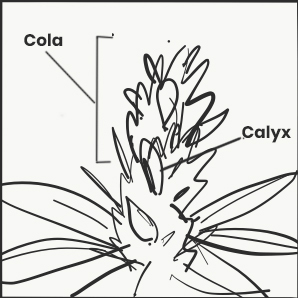 Here’s a beginner’s guide to help you better understand one of the world's most fascinating plants. The cannabis plant itself is incredibly unique – not just for its therapeutic benefits, but for biological reasons as well. Although humans have been cultivating it for around 10,000 years, and have used it for all kinds of medicinal and recreational purposes, we’re still learning new details about how and why it works the way it does. 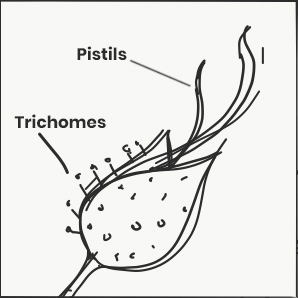 Unlike most plants, cannabis plants can be male or female. (Some cannabis plants are hermaphroditic – both male and female.) But it’s the “buds” – the flowers of the plant, produced by female plants – that are used for consumption. Male cannabis plants can be used for things like concentrates or hemp fibre, since they tend to have thicker stalks. Their primary purpose, however, is breeding. If you’re growing cannabis for consumption purposes, male plants should be separated from female plants. 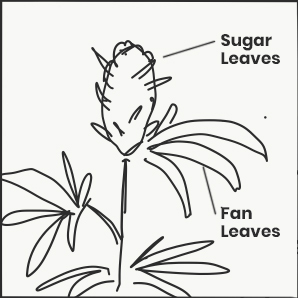 If the male plants pollinate the females, the females will expend more energy on producing seeds and less on producing buds, decreasing the size of the harvest. The buds from female plants are rich in cannabinoids, one of the chemical compounds that give cannabis the health benefits for which it is known. Our bodies produce cannabinoids naturally on their own, which are called endocannabinoids. The cannabinoids found in cannabis are called phytocannabinoids. The effects of phytocannabinoids on the body are mediated through your endocannabinoid system, which plays an integral role in the orchestration, maintenance and balance of optimal health and healing. Although upwards of 100 different cannabinoids have been found in the cannabis plant, its two best-known cannabinoids are tetrahydrocannabinol (THC) and cannabidiol (CBD), which are both found in most cannabis products. Licensed producers are required by law to list the levels of THC and CBD on their cannabis products' packaging – the higher the percentage (for dried cannabis) or the higher the number of milligrams (for oils), the more potent the concentration. Although both are common cannabinoids, the effects of THC and CBD can be very different. THC is usually responsible for producing the “high,” or euphoric sensation, associated with consumption, though it can also induce side effects like anxiety. CBD, on the other hand, doesn’t generate the same kind of high. It’s not psychoactive, so its effects are subtler. That’s why many people who want the medical benefits of cannabis without the high prefer high-CDB, low-THC products, or products with a balanced THC:CBD ratio, rather than high-THC ones. CBD is known to help with conditions like anxiety and inflammation, and can even counter some of THC’s negative psychological side effects. The therapeutic effects of cannabis will vary based on the CBD and THC levels, the strain (more on that later), the prevalence of other chemical compounds and many other factors. The THC:CBD ratio, however, is a good general guide. First-time cannabis consumers should begin with low-THC products to avoid unpleasant side effects from consuming too much. Like cannabinoids, terpenes are chemical compounds that occur naturally in cannabis – in fact, there are more than 100 different terpenes in cannabis plants. Terpenes, however, are present in almost all plants, and aromatic plants such as mint have particularly strong terpene profiles. That’s because terpenes – which are oils secreted by the cannabis plant’s flowers – are responsible for giving each different cannabis strain its unique scent. Some strains will smell like berries, for example, while others will smell like lemons. Terpenes can also play a role in the therapeutic effects of each cannabis strain. However, it is difficult to assign universal properties to each terpene, because their effects can change depending on what other chemical compounds are present. This interaction is known as the entourage effect. Traditionally, there have been two dominant types of plants (known as “strains”): cannabis indica and cannabis sativa. Over time, this distinction has become less relevant thanks to crossbreeding. Today, strains may be either indica- or sativa-dominant, but many strains are hybrids – a crossbreed of the two. The term “hybrid,” however, can also refer to a crossbreed of two indica strains or two sativa strains. Since there are almost no “pure” indica or sativa strains anymore, the different therapeutic effects of cannabis can’t be clearly correlated with one type of strain or another. However, the plants themselves are visibly different: Indica plants are typically shorter than sativa plants, and have wider leaves, higher yields and shorter flowering cycles. Sativa plants are usually taller than indica plants, their leaves are often skinnier and they tend to have longer flowering cycles and lower yields. The best-known and most-practiced delivery method is inhalation. However, many of the negative health effects linked to cannabis consumption are related to the smoking of cannabis because it requires combustion. Vaping doesn’t require combustion, so it’s generally considered to be safer than smoking. Smoke-free delivery methods tend to be preferred by medical experts. This is a lot to take in, especially if you're a first-time user. We're only scratching the surface of the complexity of the plant and its potential therapeutic effects. If you have any questions about Emerald Health's products, or about cannabis in general, our customer care team is happy to help. You can also visit our website for answers to frequently asked questions.